WWJD? The “What Would Jesus Do?” movement of the 90s had Christians everywhere asking themselves this question in an effort to model the behavior of Christ while He was on earth. 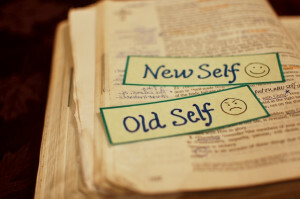 Philippians 2:5 tells us that even “[our] attitude should be the same as that of Christ Jesus.” This is one of the reasons humility is considered a benchmark for the Christian heart. During Jesus’ time on earth, He was a servant when He should have been a king. 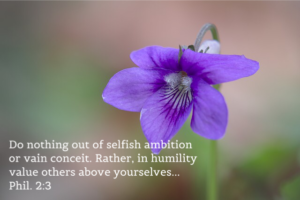 But how can we grow in humility all the while surrounded by a culture where we are told that humility should take a back seat to self-confidence? 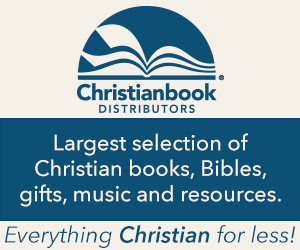 Join Holly, Carol S., Romy, and Ally as we look to Philippians 2: 1-11 for answers. 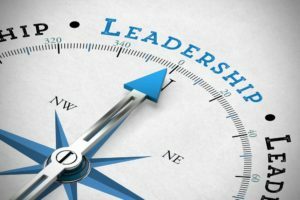 Are you a leader? Before you give your answer, think about your influence on family, friends, neighbors, or coworkers. You don’t need an “official” title to be a leader; in fact, we are all leaders as we purpose to bring others into God’s family through the saving grace of Jesus Christ. Join us as we look at Nehemiah’s example of leadership and talk about how we can apply those same principles in our own sphere of influence. 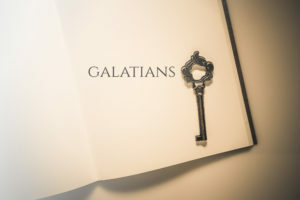 In this letter originally written to the churches in southern Galatia, Paul proclaims the timeless reality of our freedom in Christ. That sounds great, but how do we get there and what do we do with our newfound freedom? Let’s talk about it! This is a five part series on Obedience and Timing. The core text is Matthew 4:1-11 which is the temptation of Christ. We will look at the layers of obedience and timing in that situation. You may find some new insights, like we did, that are really useful for everyday life.